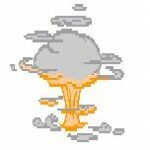 What’s the best example of a post-apocalyptic comic people have read? What makes a good post-apocalyptic comic? What is it that appeals to humankind about tales of the end of the world? “If you want to get teenagers’ attention, start by saying “The world is f***ed up”. Kenny Baraka, performing “The Rememberers”. Do post-apocalyptic tales appeal especially to teenagers? Would the end of the world as we know it be a good thing, a bad thing, or would we just feel fine? With sincere apologies to Michael Stipe. Please find below the questions for the Readers of the Lost Art Christmas Quiz 2011. There are no answers, since the purpose of this exercise is to provoke debate (because we always need help doing that). Please write in below what you think and we will debate / argue about it before going for pizza! Which comics character did we think had the worst costume ever? Quote of the Year (please write your favourite quote of the year below). It may be from comics, it may be from the media, it may be from a member of the group… whatever, please share! Please find below the questions for the Readers of the Lost Art Christmas Quiz 2010. There are no answers, since the purpose of this exercise is to provoke debate (because we always need help doing that). What’s the best X-Men comic you’ve read? Did Garth Ennis’s take on the X-Men in “The Boys” (the ‘G-Men’) have any valid points to make? Did Grant Morrison and Joss Whedon really revitalise the series? Did anyone see the TV cartoon adaptation, and what did they think? Do TV cartoon adaptations ever persuade people to read comics? Does anyone disagree with the following statement about the films: “X-Men 1 was quite good, X-Men 2 was the best, X-Men: Last Stand was best forgotten about, the less said about X-Men Origins: Wolverine the better, X-Men: First Class divides opinion”? “X-Men” has been going – in its various incarnations – for a long time now; what is it about them that appeals? 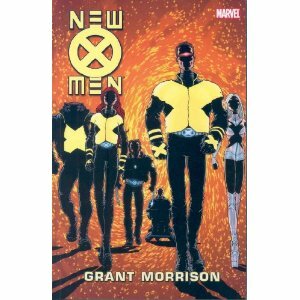 What’s the best X-Men graphic novel? “God Loves, Man Kills” often takes this slot, but should it? This may be a hotly-contested slot. Largely, it must be said, between Louise and Dave. What’s the best crime-related comic you’ve read? Can TV adaptations (comic adaptations of TV shows) ever be any good, or are they doomed to be low-quality cash-ins? Crime and the supernatural: we’ve read a few comics like this, but did we think they were any good? Does the graphic novel / comic form add anything to crime stories that novels, film and TV do not already have?